CLOSEOUTS. 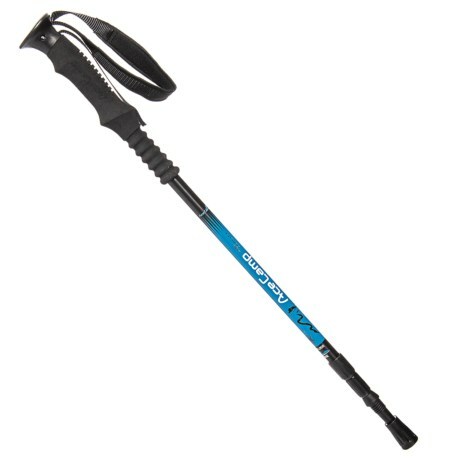 Explore new heights with this AceCamp Aluminum trekking pole, built with a comfortable EVA foam grip handle, a three-section adjustable height, and an anti-shock system for stability, support and reduced fatigue. Available Colors: SEE PHOTO.